Day 265. My patio is ready for spring! April 6, 2014 Categories Colorado, Post a Day 2013/2014apartment, balcony, outdoors, patio, plants, post a day, springLeave a Comment on Day 265. My patio is ready for spring! 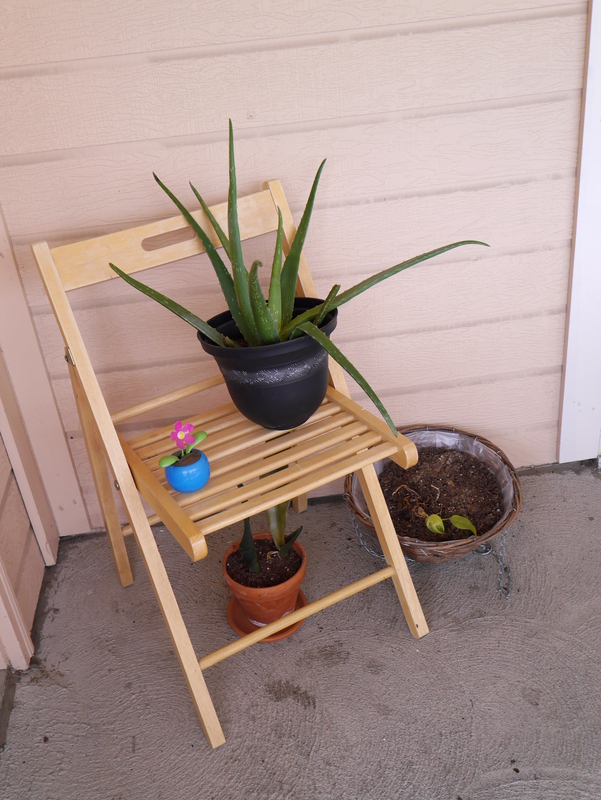 During my spring break I spruced up my patio a bit. 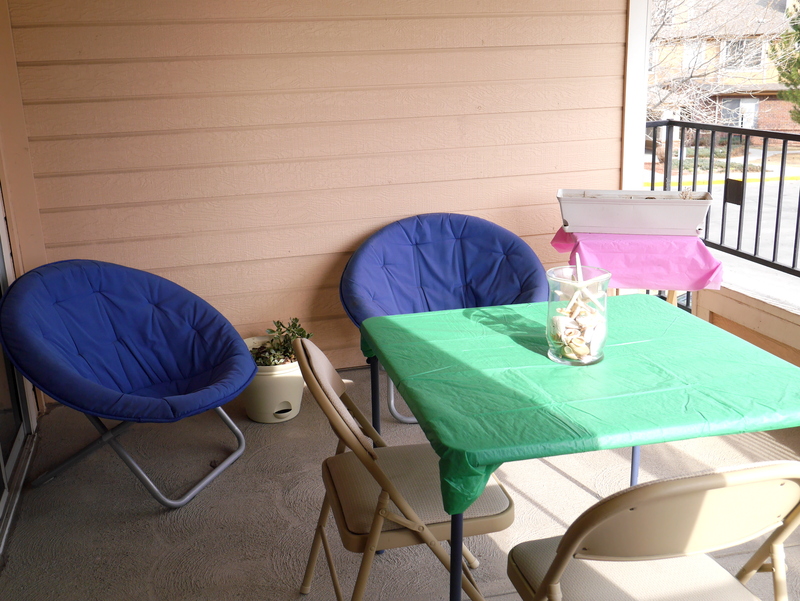 Tablecloths have been added, plants have been taken outside, and furniture has been rearranged. I would still like to add some blinds or curtains on the balcony and plant some more flowers. It is amazing the transformation a space has once plants are added to it. A room looks so much better when there is greenery. I look forward to the warm days when I can go outside for dinner or read in the late afternoon. Can you believe that the day after I took these pictures it snowed? Only in Colorado!